In 2006, Woodrow Sustainable Solutions Ltd was contracted with the production of Biodiversity Guidelines for Local Authorities. 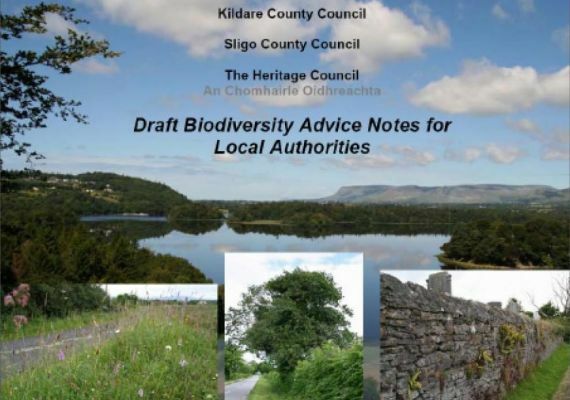 Kildare & Sligo County Councils, Heritage Council. We were also contracted to write a Natural HeritageToolKit. Fàilte Ireland in 2012. In 2006 we were contracted to write guidelines following a detailed audit of all aspects of Local Authorities work from Planning, Engineers, Roads, Community & Enterprise, Environmental Services. The guidelines detailed achievable and practical recommendations on activities or amendments on work practices to benefit wildlife. Further more we were contracted to prepare a Natural Heritage tool kit for tourism establishments in 2012. This assists them to market their natural heritage as an attraction to guests and help extend their season. Training workshops were part of the roll out of this project. If you would like more information on this or any of our other projects please get in touch through our contact section.